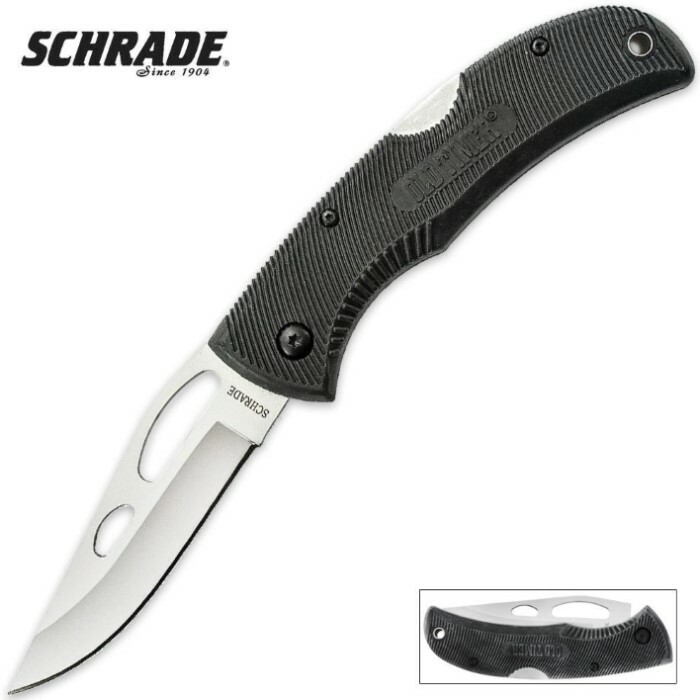 Schrade Old Timer Safe-T-Grip Plain Edge Clip Point Pocket Knife | BUDK.com - Knives & Swords At The Lowest Prices! With a contemporary look and feel, this Old Timer folding pocket knife from Schrade features a razor-sharp high carbon stainless steel clip point blade with Schrade's exclusive Safe-T-Grip handle, which provides a superb grip as you work this tough lock back blade. 4.5" closed, it's an ideal size for an every day carry.